Designed by French developer Loriciel and published by Electro Brain for the Super NES in 1993, the game features several contrasting modes of gameplay, including side-view platforming, top-view, and horizontal shoot 'em up. Despite its name, it is an entirely 2D game, although the game uses many layers of parallax scrolling backgrounds moving in opposite directions to give a great sense of depth. 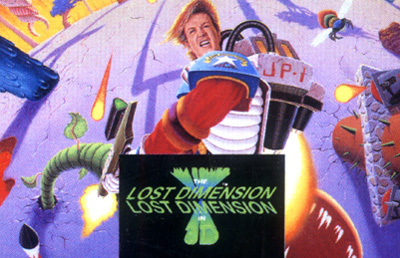 Together with the 3D glasses that were packaged with the game, designed around the Pulfrich effect, this provided a unique "3D" experience for the time when polygonal 3D graphics were rudimentary and too expensive to implement.The soundtrack was composed by Chris Hulsbeck of Turrican fame.